(Almost) All of the 2015-2016 Greenhouse Management and Operations Cohort at Santa Fe Community College. As many of you have certainly noticed, Green Phoenix Farms has been relatively quiet in the Aquaponic industry for a while. This has been due to the fact that almost exactly two years ago (July 2015), Adam Cohen was invited to continue the development of the Controlled Environment Agriculture (formerly Greenhouse Management and Operations) program at Santa Fe Community College in Santa Fe, New Mexico, which was founded by Eric Highfield two years earlier in 2013. Adam Cohen giving Governor Susanna Martinez a tour of the Aquaponic Dome at Santa Fe Community College. Over the past two years, Adam worked to increase the course offerings, add nearly 40 students per year to the program, laid the groundwork for articulation agreements with several major universities around the country (University of Arizona among them), and worked with a team to design and develop the new Greenhouse Teaching Facility on campus. You can view a short tour of the facility model HERE. As planned, this facility will be a nearly 12,000 sq. ft. controlled environment, managed by an integrated nano-grid with a wide variety of sustainable energy sources. Inside will be a wide variety of production methods that use hydroponics and aquaponics, but also including algae production and some soil-based systems. As with the existing systems on campus, the food produced in the new Teaching Greenhouse will be used on campus first, and then distributed out to the community as possible. R. Charlie Shultz and students working with Malabar Spinach in the aquaponic system. Unfortunately, the economic situation in New Mexico has caused some uncertainties and caused some significant concern among many State funded departments and programs. With the college facing some significant issues, Adam has left the operation and control of the program in the hands of R. Charlie Shultz. 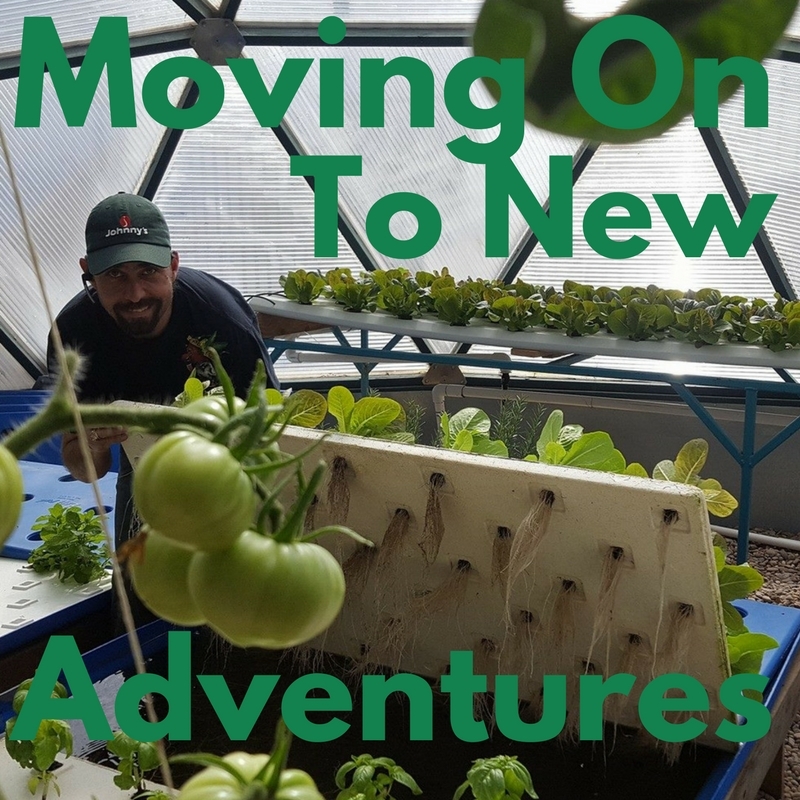 With Charlie’s experience at the University of the Virgin Islands aquaponic system and his years within the aquaponic industry – the students at SFCC will certainly have an eye-opening opportunity to gain experience and knowledge! So the question is now, where to go from here? Adam and his family have made the decision to return to Texas and work to re-imagine and re-launch Green Phoenix Farms. This decision was certainly difficult, but for a wide variety of reasons, the family decided that it would be best to move back to where the whole adventure started! The aquaponic industry is still growing by leaps and bounds, and there are hundreds of people looking to find a way to get started every day. Green Phoenix Farms has made education and training–and widespread access to both–the core tenets of our mission from day one, and we do not intend for this to change. Look for some significant developments to be released in the coming months. Several of these have been in the works for a few years now, but they are only now getting to a point where we think they are ready for release. As well, we have founded a new community group, DIY ‘Ponics on Facebook, to help the industry curate some of the information that is out there for small-scale projects and techniques. We hope that you can join us and will share tips, stories, challenges, and successes for the betterment of all of us! We are going to resume weekly postings soon, and we will be launching a brand new newsletter format in July. We want to thank you for supporting us over the years and for growing side by side with us. Adam has always said that he is in the industry to help people learn how to grow healthy food for themselves, for their families, and even for the market. The path has never been straight, but it has always led to new opportunities and greener crops! If you haven’t signed up for our mailing list, please take the opportunity now to do so, and keep an eye out for the exciting announcements that we have coming in the next few months. Thank you!